Cairo is a breathing museum with architecture that spans over a millennium and a half. Newly constructed brick buildings can be found alongside 19th century French style apartments. Graffiti is marked upon concrete walls to convey political dissent. Even the decaying and sooty edifices have a splendor about them. While tourism in Cairo is generally centered on the pyramids, the Citadel, and the Nile River there are other treasures that display the vibrant and ever changing past. 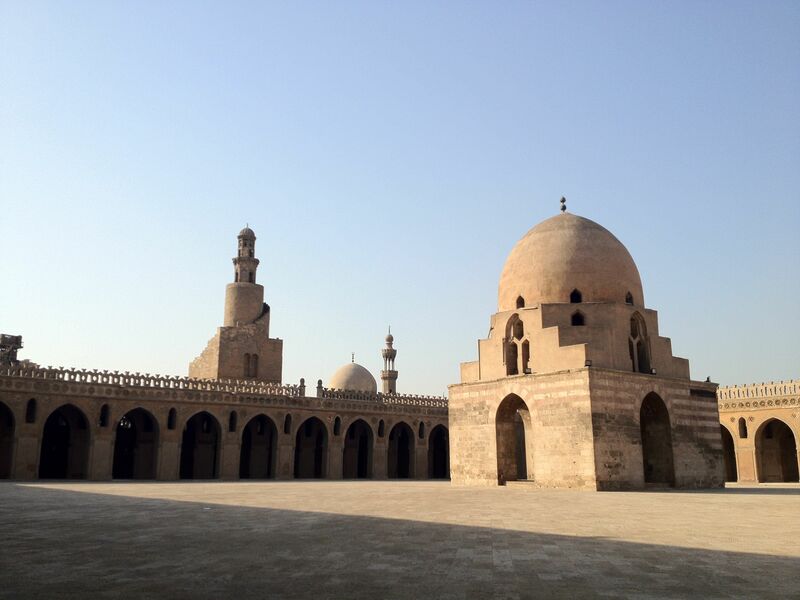 Today, I visited the Mosque of Ahmad Ibn Tulun. He was the son of a Turkish slave of the Abbasid caliph al-Ma’mum. In 868 he was assigned governor to al-Fustat (Cairo). During his reign in Egypt, Ibn Tulun demolished the Christian and Jewish cemetery on the hills of Cairo and built a new area (al-Qata’i), which subsequently led to the construction of his mosque, was (built between 876 and 879). 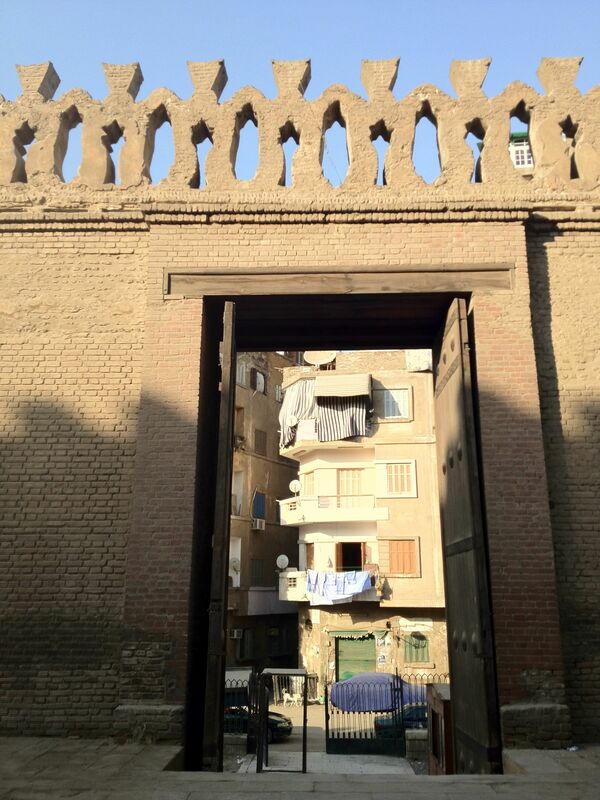 It is one of the oldest mosques in Cairo that essentially remains in its original form. It is also one of the serene places that I have been at in Cairo. The 9th century walls drown out the barking dogs, honking cars, and shabbi music. Regarding architecture, the mosque is modeled after Abbasid courts and has a classical congregational courtyard plan. Throughout the mosque one finds stone windows breathing life into this grandeur space. The mosque contains frieze with Quranic inscriptions spanning 2 kilometers. 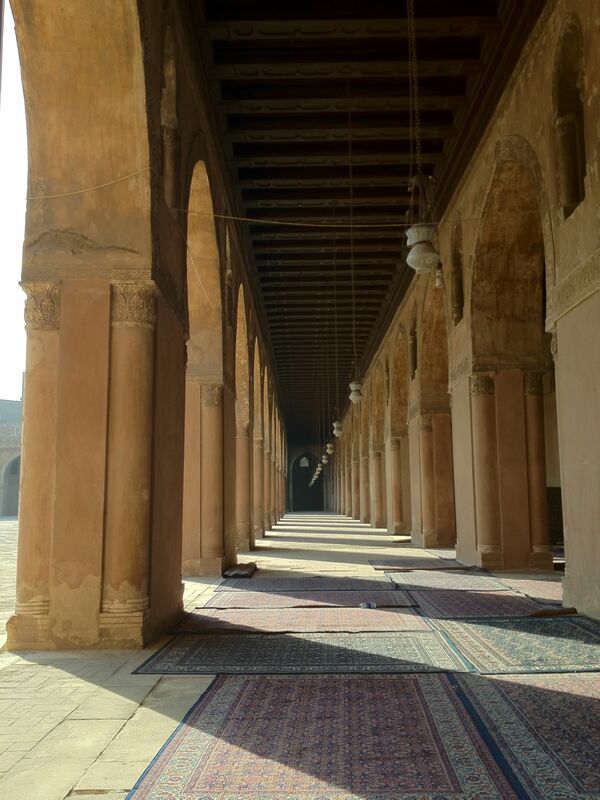 Another feature that this mosque has is the pointed arches that span the courtyard. This design pre-dates European arches and was distinct from its contemporary buildings. While this site could be found serving Muslims for generations, the space was used as a wool factory in the 18th and 19th century. Over time, an effort was made to convert the space into a tourist destination. Although my experience was quite secular, the architecture gave me a sense of the many legends and tales that brought upon the construction: slavery, displacement, and worship. With time, I can begin to see how other buildings evoke the history they were given. I am so happy that you are posting about your Egypt experiences! Thanks for sharing the link. I enjoy being able to follow your adventures and read about your incisive observations. Keep up the good work, I look forward to reading more!